Musculo Skeletal Disorders (MSDs) is the most common disease in the workplaces causing disabilities and excessive costs to industries, particularly in EU countries. Most of MSDs prevention programs have focused on a combination of interventions including training to change individual behaviors (such as awkward postures). However, little evidence proves that current training approach on awkward postures is efficient and can significantly reduce MSDs symptoms. Therefore, dealing with awkward postures and repetitive tasks is the real challenge for practitioners and manufacturers, knowing that the amount of risk exposure varies increasingly among workers depending on their attitude and expertise as well as on their strategy to perform the task. The progress in MSDs prevention might come through developing new tools that inform workers more efficiently on their gestures and postures. 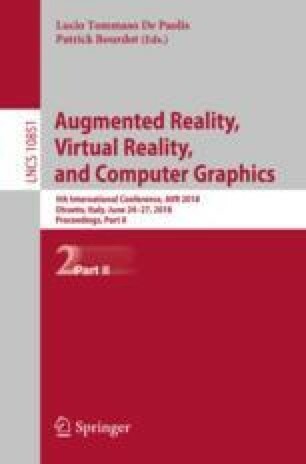 This paper proposes a potential Serious Game that immerses industrial workers using Virtual Reality and helps them recognize their strategy while performing tasks and trains them to find the most efficient and least risky tactics. This project was supported by the EU Interreg program, grant number 1812 as a part of the Serious Game for Health at Work towards Musculoskeleta Disorders (SG4H@W>MSD) project. The authors would like to thank Sebastien Chevriau, Maxime Larique, et Gerard Touvenot for their contribution in data collection.